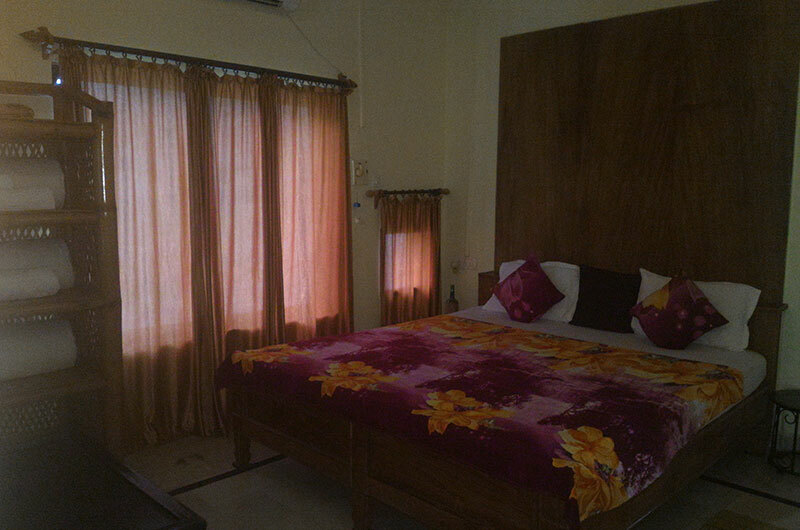 Set amidst 13.5 Acres of lush green landscape the resort is very well maintained. It has an excellent location surrounded by fruit plantations beyond which, is dense jungle. Turia gate of the Pench National Park is only a 5 min drive from the resort. The property itself is quite green with well kept cottages and lawns. Every cottage has a front porch and the rooms are neat & clean, spacious & comfortable. They have large windows and it is relaxing to sit by them soaking in the green view and sunlight. The rustic ambience, lush green surroundings and the serenity of the resort make it the ideal place to rejuvenate your senses, contemplate and take a break from hectic urban life. The naturalist attached to the resort is knowledgeable & accompanies you for your safaris. If you are bird lover you don't have to leave the hotel. One can observe and photograph different birds like Paradise Fly Catcher, Golden Oriole, Orange Headed Thrush, Blue Monarch, Oriental White Eye, Common Kingfisher, Coppersmith Barbett, etc. All these bids are resident within the premises of Baaz resort. A family of flying squirrels have their permanent place of residence bordering Baaz. The USP of the resort is the hospitality of the host Mr Mahendra Godbole and his helpful and courteous staff taking care of every minute detail which makes you & your family feel special. This short poem from Capt Subhash Patil sums up the Baaz Experience.